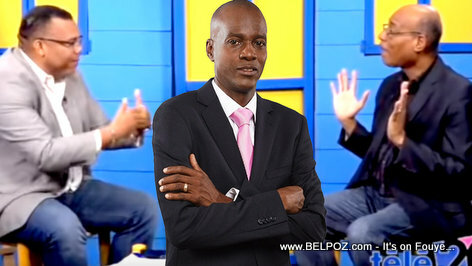 President Jovenel Moise needs to negotiate with the Haitian media or he will be sorry, former Senator Jean Hector Anacasis said in a recent interview on Tele 20, an affiliate television station of the daily newspaper Le Nouvelliste. Journalist Roberson Alphonse could not understand that the politician was talking about so he had to explained. President Jovenel has to negotiate with the media in terns of advertising and promotion for all the things he is already doing in the country, Senator Anacasis said, because most of the people in Haiti are not even aware of all the accomplishments of president Jovenel throughout the country since the only media talking about the president is the government radio and television station (RTNH) which, according to him, is not even listed among the most popular media in the country that the population tune in to to formulate their opinion. "But as a journalist, I will not negotiate with the president," says Roberson Alphonse. Anacasis explained to him he didn't have to. "It's advertising money that keep the media networks up and running, it's advertisers money that pays all the journalists and employees. So what's wrong with the government sponsoring a radio station to advertise to the population what the government is doing or to share specific information or raise awareness?"